A fresh derivation of the seminal English Windsor Chair, our Catena Arm Chair finds the perfect balance between light and substance. 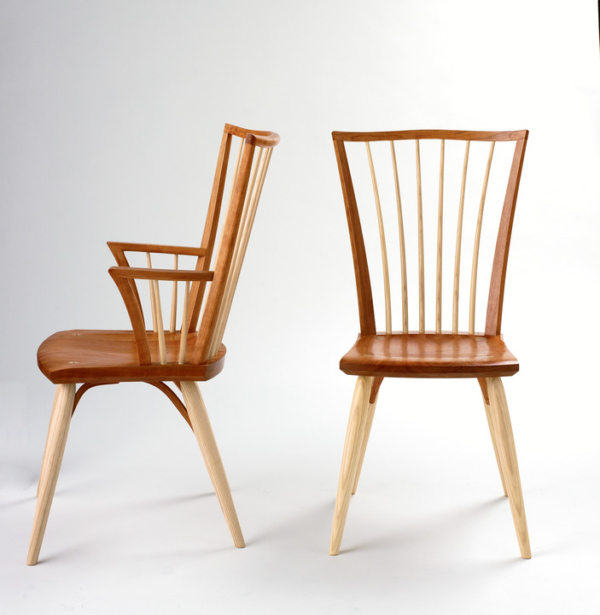 Crafted using a combination of carefully selected North American Hardwoods, this chair relies on hardwood knees, not spreaders, freeing plenty of space for resting feet and legs. 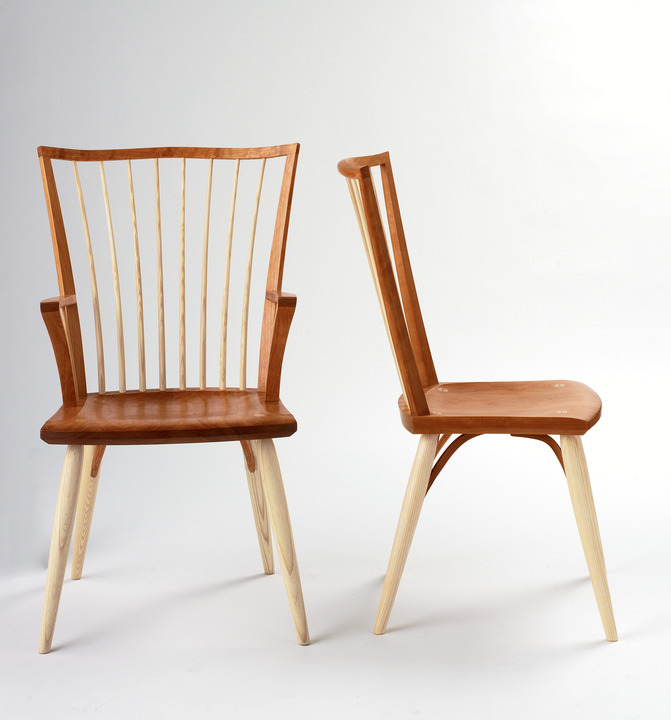 The chair’s vertical components are crafted from ash, a resilient, durable wood that provides stability in the legs, and a hint of flexibility in its slender back spindles. 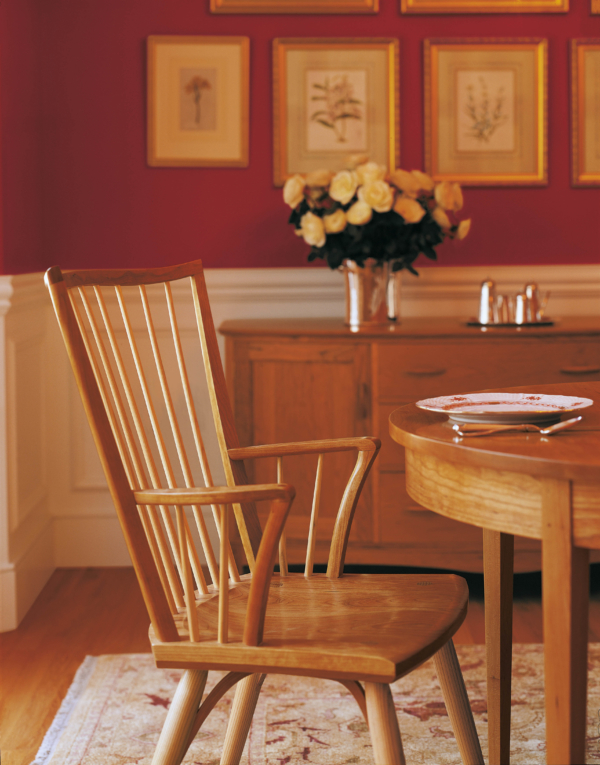 The Catena Arm Chair’s simple, approachable design is well matched with any Moser table, in any dining room setting. 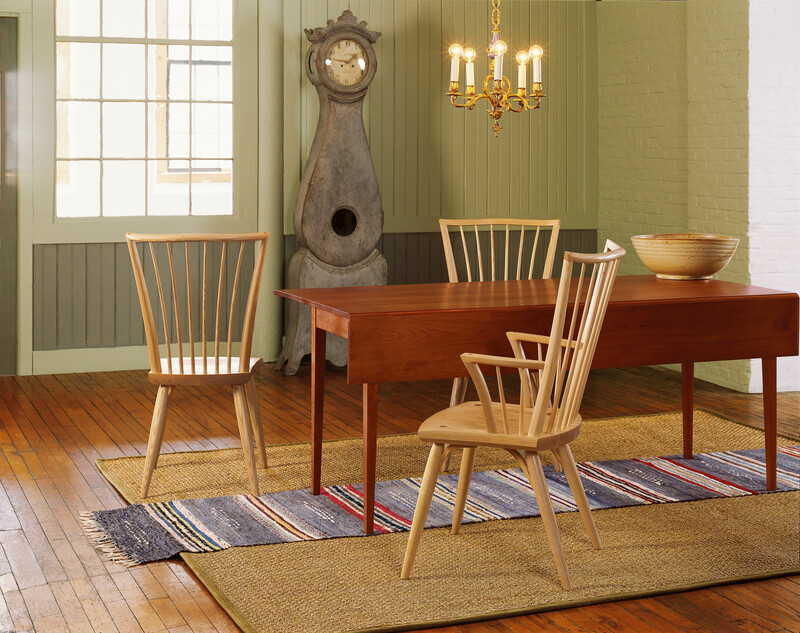 Designed with a nod to the traditional English Windsor Chair, the Catena Arm Chair achieves all of its antecedent’s comfort with a fraction of its mass. 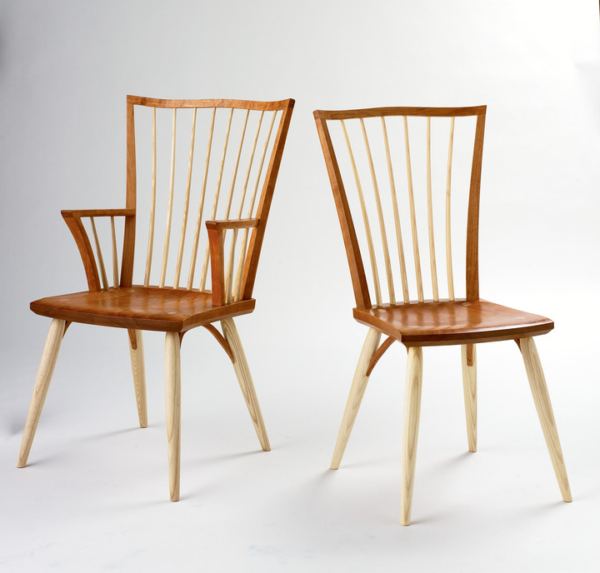 Made with joinery techniques that permit an open, airy form, this chair is marked by its use of two species of North American hardwood. The combination is both visually engaging and structurally sound, with durable ash legs, tensioned ash spindles and seating surface, arms, knees, and back crafted in a choice of our favorite hardwood. 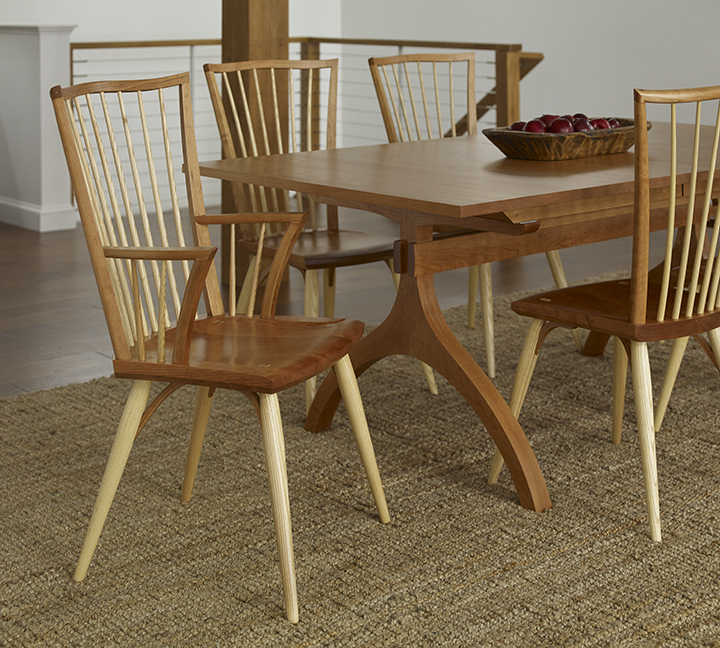 The Catena Chair’s structure celebrates the interplay between mass and space, with four legs supported by hardwood knees, not spreaders, which free room for both legs and natural light. 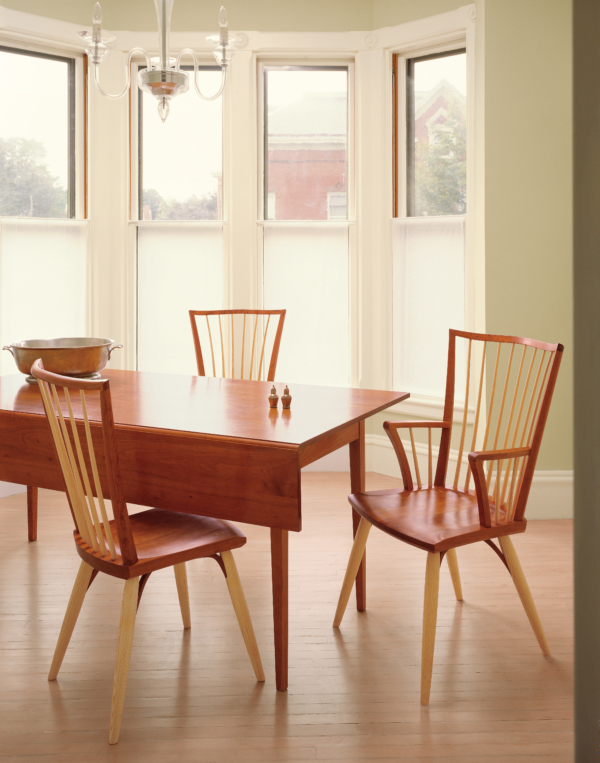 The gently contoured hardwood seat supports the chair’s hardwood arms and back, held together by a series of tensioned ash spindles that provide a hint of flex to enhance comfort. Chosen by Pope Francis as seating for his 2017 visit to Philadelphia, the Catena Arm Chair is the most recent Moser design to earn high profile appreciation. 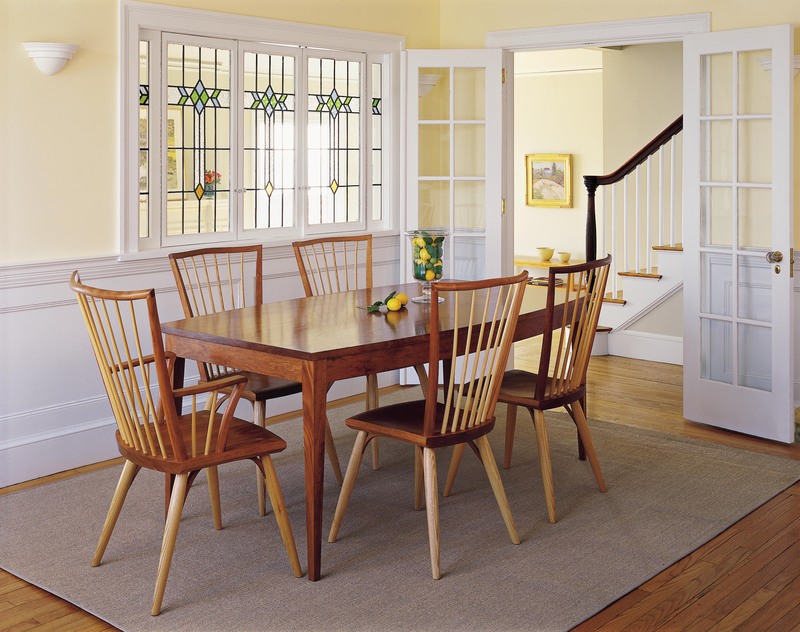 Although designed without a companion table, the Catena Arm Chair is extraordinarily versatile. It’s simple, elegant structure pairs with most any table in our portfolio, and works well in both traditional and contemporary settings.